Kelly's Korner: I heart Teachers! It's no secret that two of the things I love most after Jesus are my kids and SONIC Drive-In. If you know me - you know I love SONIC. I love their vanilla diet cokes. I love happy hour. And I love that they support teachers. I am SO thankful for teachers. My mom was a teacher. And I feel like some of the biggest heroes in our world are teachers. 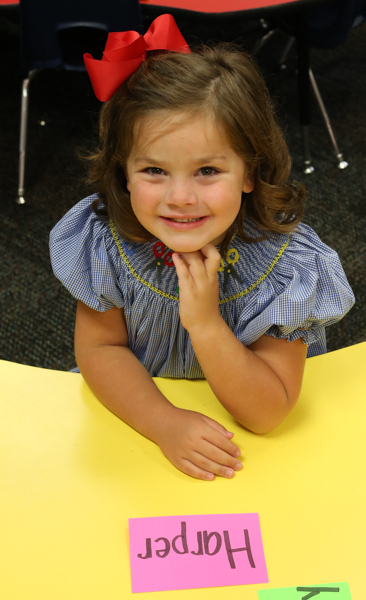 I was so nervous when Harper started Kindergarten. 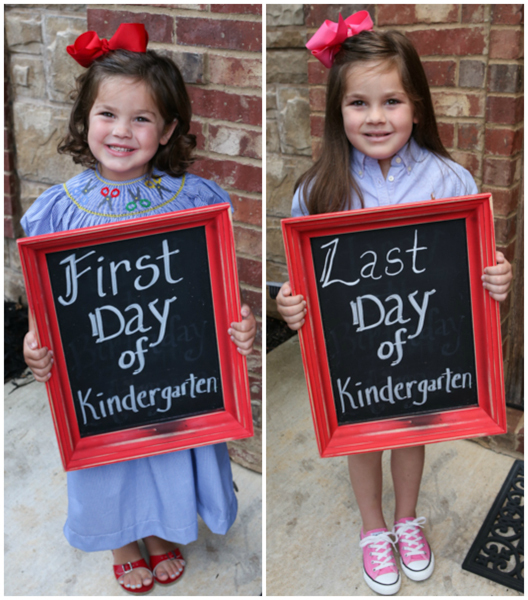 I had the normal first child, first year of school jitters. But I also was just worried about how she would do because of her hearing loss. She wasn't reading yet. She barely knew her letters and she didn't know phonics at ALL! We had worked with her and she had had years of speech but it was just harder for her because of the sounds she didn't hear. A part of me wondered if she would fall behind. I also wondered how she would do socially. Well, I have no idea why I was so worried. She had the BEST year!! She had tons of friends and was reading by mid-year. I was so shocked at all the things she came home knowing. It surpassed my expectations by MILES. And so much of that is contributed to the wonderful teacher she had in Kindergarten. She was so loving and caring and she taught so well. 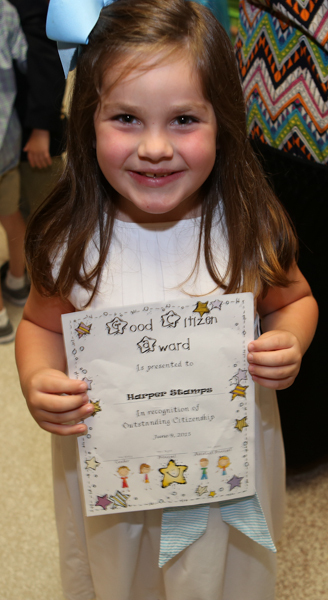 Harper even won the citizenship award for her class last year. And first grade has been even better. She LOVES to read and is reading chapter books. She knows so much and I'm just so proud of how she has grown. But I'm so thankful that we had another teacher that has just poured into Harper. She has been such a gift to our family. I am not sad at all about Hollis heading to Kindergarten because I know that she will be equally as blessed to have a great teacher no matter who she gets. The teachers at our school just work so hard and care so much for their students. I feel like any little teacher gift I give at the end of the year is not even in the ballpark of how thankful we are. That's why I'm thankful for SONIC. Each year, teachers spend more than $1 billion of their own money on school supplies. In no other profession are leaders expected to fund their work personally in the same ways teachers are expected to each day. Since 2009, SONIC has served as an advocate for teachers in local communities through its Limeades for Learning program, a national initiative in partnership with DonorsChoose.org to provide teachers with essential funds to continue inspiring creativity and leaving in public school classrooms across the country. May is Teacher Appreciation Month. Everyone had a memorable teacher who got through to them, helped guide them or provided them with support. This month, SONIC is launching #ThanksTeach to show appreciation to teachers for all they do through video and static content across its Facebook, Instagram and Twitter channels, For every RT, share or unique content created by fans that incorporates the hashtag, SONIC will donate to public school classrooms up to $1 million in May. Who was your favorite teacher or the teacher that helped you the most? Leave a comment below for a chance to win a $100 Visa Gift Card!